We all are very familiar with the Google’s frequently used app Google Translate. It has been helping millions of visitors around the world in making correct decisions regarding direction and selecting the delicacies from the menu in restaurants. All these came with a bit of a hassle till now, one needed to be connected to the internet in order to get the most of this translator. 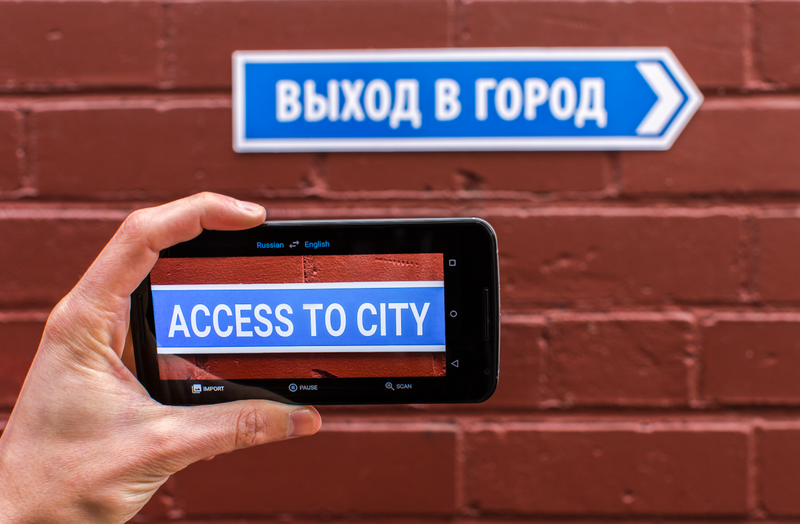 Previously, Android users were able to take pictures of text from 36 different languages and upload it in the Google Translate app to translate. The latest update makes the whole process into ‘one’ single step. All you have to do is hold the phone’s camera at the foreign text and the app will translate it instantly. Yes, you read it right, instantly. As a cherry on the top, no internet connection is required. At present it can translate English, French, German, Italian, Portuguese, Russian and Spanish but Google promised to add compatibility of more languages soon. Till then, the languages which are not supported for instant translation will require pictures to be taken for translation. Another new feature of the latest update of Google Translate is the automatic language detection. Now, the app can translate oral conversation into a real-time translation. Previously, the app required to preselect the appropriate language and then tap the mic each time you/the other person speak. But now, all you need to do is tap the mic, the app will automatically recognize the language being spoken and from then on the app will continue to translate conversation to and fro. These new features are already available on Android and iOS and if you haven’t downloaded this super productive app yet, then head on to Play Store or App Store to download Google Translate absolutely free!